Posted on October 30, 2018 at 1:50 pm. The Nordstrom flagship store in downtown Seattle is getting a makeover. It’s a major renovation and is designed to turn the downtown Seattle store into an “international destination.” According to Jamie Nordstrom, the store hasn’t had a makeover in twenty years. Nordstrom acknowledges that times have changed and so has the store. Earlier this year Nordstrom’s unveiled “curbside pickup” for online shoppers. Nordstrom’s is also giving customers who have ordered clothing alterations the choice of picking up curbside, in store or home delivery. An extensive remodel is also underway in Chicago and San Francisco. Nordstrom’s goal is to make all three of these stores “destination shopping” locations for tourists. The remodel is influenced by European department stores Galeries Lafayette in Paris and London’s Selfridges. 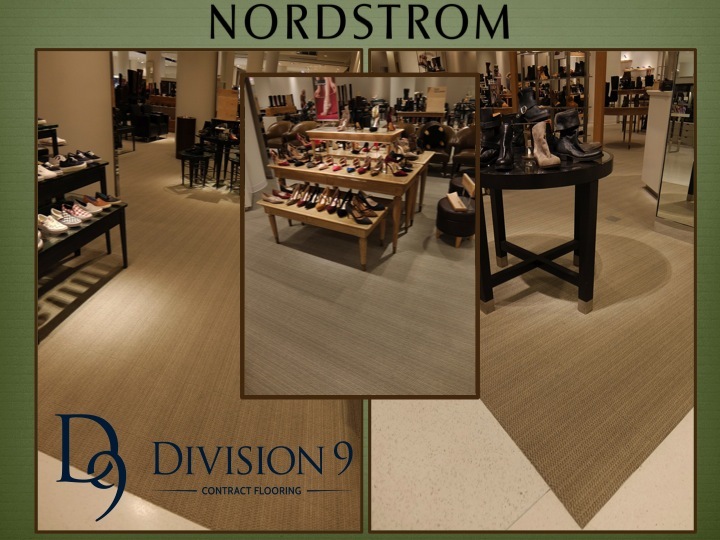 Division 9 Flooring has the experience and expertise to help Nordstrom pull this off. The renovation of the flagship store will be complete next Spring. Nordstrom says another piece of the puzzle that needed a new spin is food and drink. Shoppers will be able to grab a cocktail or bite to eat in the Habitant Lounge. The second phase of the renovations is currently under way. If you head to the downtown Seattle Nordstrom store this holiday season, you will likely see some of the improvements. Also, look for Santa in the window facing 6th and Pine.